I am involved in an amazing ministry called Sixty Feet. This month Sixty Feet will be an official charity of the Raleigh Rock n Roll marathon. My friend Kaylyn and I have joined Team Sixty Feet, not as marathon runners, but to help with all the behind-the-scenes work that makes the marathon happen for our team. Each runner has been challenged to raise $1,000 for Sixty Feet and Kaylyn and I would like to join in that challenge as well. I don't have cupcakes to sell or raffle tickets to offer in exchange for your donation, but I do have a story to tell. Thanks for letting me share it with you. The Owens were just a regular family living in Atlanta, but when they heard about the remand home, they knew God was calling them to do something and, with the help of some other local families, Sixty Feet was born. The ministry of Sixty Feet soon became the ministry of the Owens family. Even their small children became involved. 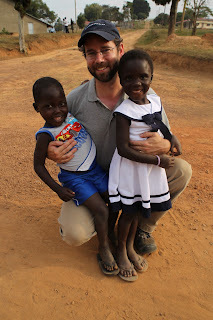 On one of Dan's trips to Uganda, they challenged their children to think of something they could give that Dan could bring to the children at the remand home. As Dan wrote on their blog, "We thought Madeline and Davis might draw them a picture or dig through their closets and find some toy they don’t want anymore. They both shocked us with their responses — our 4 year old especially. Davis came to us bearing his most treasured possession, his shiny silver and blue Lighting McQueen outfit (my son would literally wear this thing every single day if we allowed him) and announced that he’d like Daddy to take it to Uganda. We talked it over with him… “are you sure? If Daddy takes it, it’s really gone.” He would not relent. And tonight, he packed it himself in my suitcase." Madeline sent one of her very favorite dresses and a few days later, Dan emailed a picture of himself with a little boy and a little girl wearing the beloved clothing. The Owens family had no idea that in 6 months, they would welcome that very same boy and that very same girl into their family. 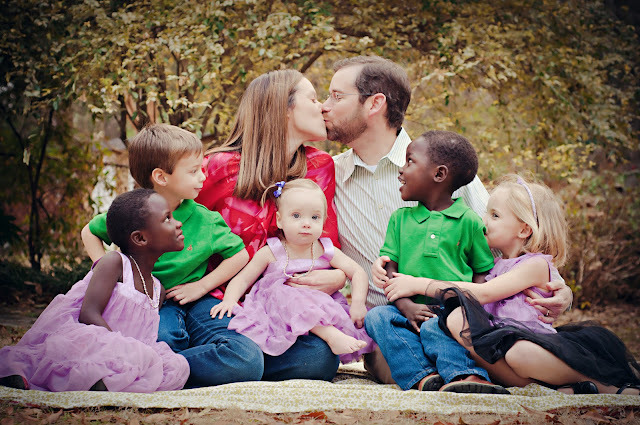 I followed the Owens' journey and rejoiced when they brought home Hannah and Joseph in December 2010. The very next month, in January 2011, I had been gathering "stuff" around our house in preparation for a Goodwill run when, out of the blue, a thought came to me. In an instant, I felt that someone I knew was going to be adopting and that they were going to have a yardsale to raise funds and that I would donate all my stuff to their yardsale. NOW. I do not go around receiving messages from God on a daily basis, but I knew this thought was not my own. Either I was going crazy, or I had better haul all my stuff back up to the attic. Meanwhile, that very same month, my friend Kaylyn, WHOM I DID NOT YET KNOW PERSONALLY, was doing some blog surfing of her own. She stumbled on an adoption blog and immediately felt a calling to adopt. A few months later she had a yardsale planned to raise money for their adoption. She reached out via the internet to ask for items to be donated to their yard sale. I just so happened to be a fan of her Dunlap Love store page on Facebook and I saw the request. And I knew exactly where my pile of stuff should go. Since then, Kaylyn and I have become dear friends. I had the honor of prayerfully walking alongside her and her family on their adoption journey and I was blessed to watch Kaylyn and her new son Micah walk off the plane a year ago. 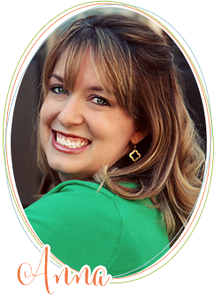 One more word of wisdom from Shelly's blog -- "in the country of Uganda there is no shortage of water – it is abundant and plentiful, but polluted. And many people are dying because they do not have access to clean water. We’ve learned that often less than 60 feet underground, they find crystal clear, clean water that could change their lives forever. And so in response… Sixty Feet is the link between those in desperate need and the help, support and resources that already exist but are just out of reach. In short, here’s the thing… God has already done His part. He has provided all our needs. Some people need help accessing those provisions and that’s our part." I think the point is that God does not always work in mysterious ways, as they say. Sometimes God has already done all the work and He is waiting on us to do our part. For me, Sixty Feet has become my part and I have been infinitely blessed by this ministry as I have partnered with them and watched them grow. I'm not writing to tell you that Sixty Feet should become your part as well, but if you do not already, I encourage you to find a passion of your own, a ministry with whom you can partner, a ministry that will continually encourage, uplift and point you to God. In the meantime, Kaylyn and I are asking you to join us in being the link that brings hope and restoration to children in Uganda. Today, we are not only asking for your prayers for these children, because we believe God has already answered those prayers. And the answer is US. YOU and ME. Our goal is to raise $1,000. We are asking 100 friends to donate $10 each. We also have a donor who will match any amount given, which will hopefully bring our grand total to $2,000!! You can click on this link to donate. All donations are tax deductible and ALL donations will go directly to the ministry in Africa. All proceeds will provide immediate relief in the form of water, food, medical care, clothing and bedding. In addition, Sixty Feet provides long term restoration through educational sponsorships, justice, counseling, resettlement efforts and the love of Christ. Thank you for being the link!! !